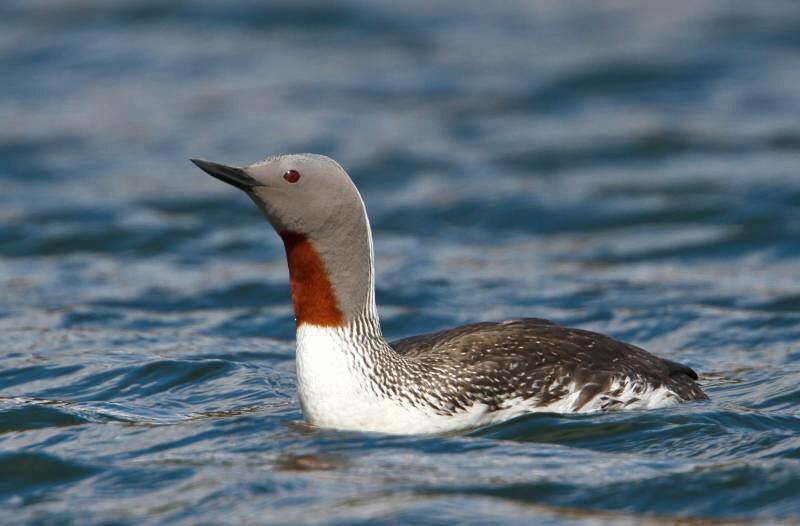 Steve Mlodinow just texted to report a RED-THROATED LOON at Valmont Reservoir. He is viewing from the City of Boulder's Open Space and Mountain Parks Annex off of 75th St. This would be the east end of Valmont which is not really all that visible from the Legion Park Overlook. The RTLO is associating with Western Grebes. Not my image, and not the same bird as reported. Image hijacked from Wikipedia. This report meets almost all my criteria for a highly "chase-able" bird. First and foremost, it would be an excellent bird to add to my Colorado and Boulder county lists (not to mention my life list). If it's still present, it's likely to be out in open view (as opposed, for example, to a rail that might spend most of the day completely concealed in a dense marsh habitat, or an owl that spends all day roosted up in an old woodpecker hole). It's a location that's within fairly short driving distance from where I live (only about 20 minutes away). The description of where to find the bird is specific enough that I would know exactly what to do to try to re-find it. The birder who found the Loon is an established expert (need proof? Steve Mlodinow currently has the 2nd highest eBird life list in the ABA area), so I trust the ID is likely correct. While I love a good challenge, it's always nice to chase a bird that has been long-staying in an area, or has been re-found my many others over more than one day. Lots of rare birds only stay put for a very short amount of time, which can be frustrating for someone who has to wait until Saturday to try to chase. After a sighting like this I immediately start checking what's on my work calendar for the rest of the day or week, and upon proving to myself the inevitable truth that it will be impossible to chase this bird until the weekend, I resort to daydreaming about the bird while I get back to my work. Here's hoping the bird hangs around until Saturday!